Fourth of July is tomorrow and to celebrate, we plan on entertaining by the pool (weather permitting-there is an 80% chance of rain) followed by a Braves game and fireworks. I’m making a low country boil, along with some festive snacks such as these chocolate-dipped pretzels, patriotic fruit kabobs, and a red, white and blue sangria (of course). 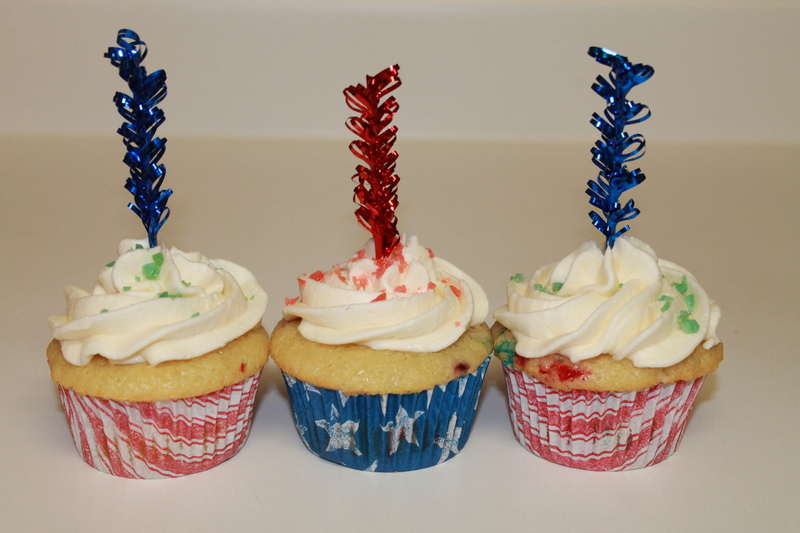 But, to kick the 4th off with a bang, I made Firework cupcakes! Aren’t they so cute? 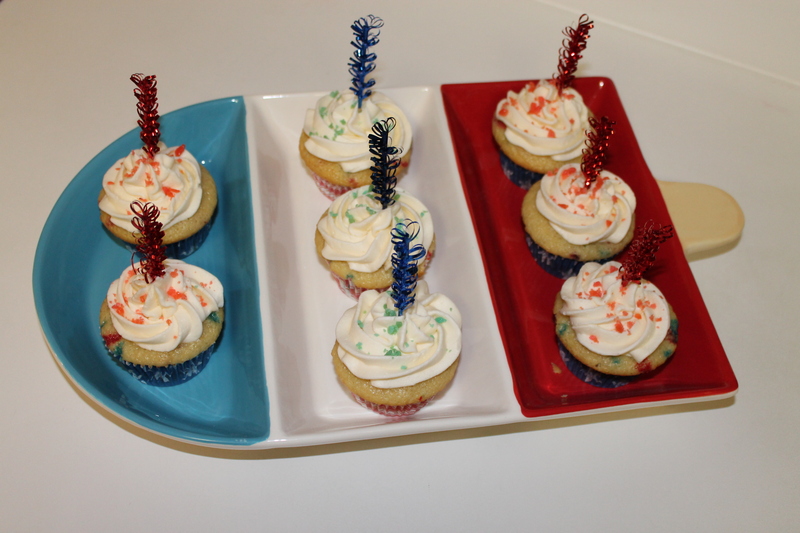 The stars and stripes cupcake liners are from Sur la Table. I picked them up right after Memorial Day and have been impatiently waiting to use them. 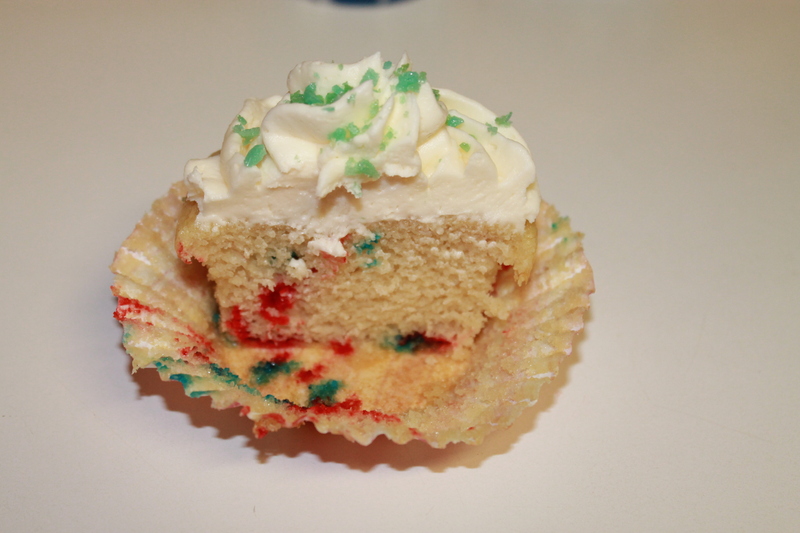 I followed this recipe to make the vanilla cake, but gave it my own personal touch by adding red and blue sprinkles. It makes them look more like fireworks when you bite into them. 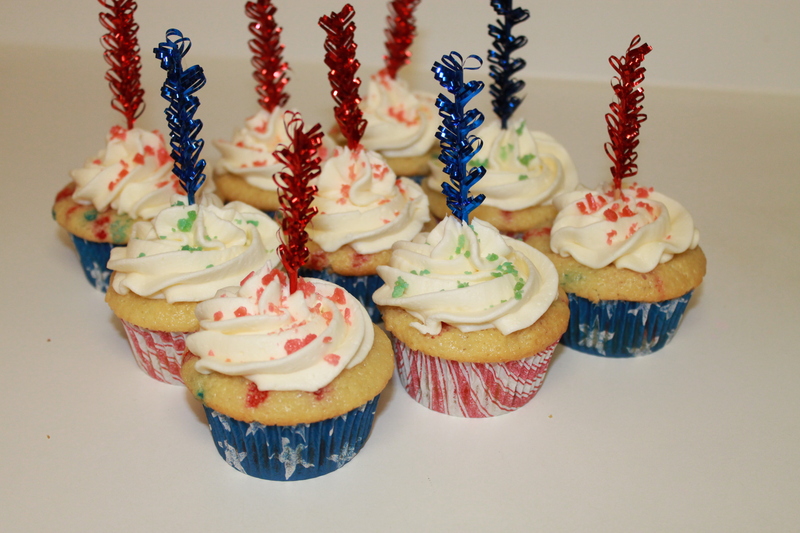 Lastly, I topped the cupcakes with a homemade vanilla buttercream (recipe below) and some pop rocks to give them that “exploding firework” effect. 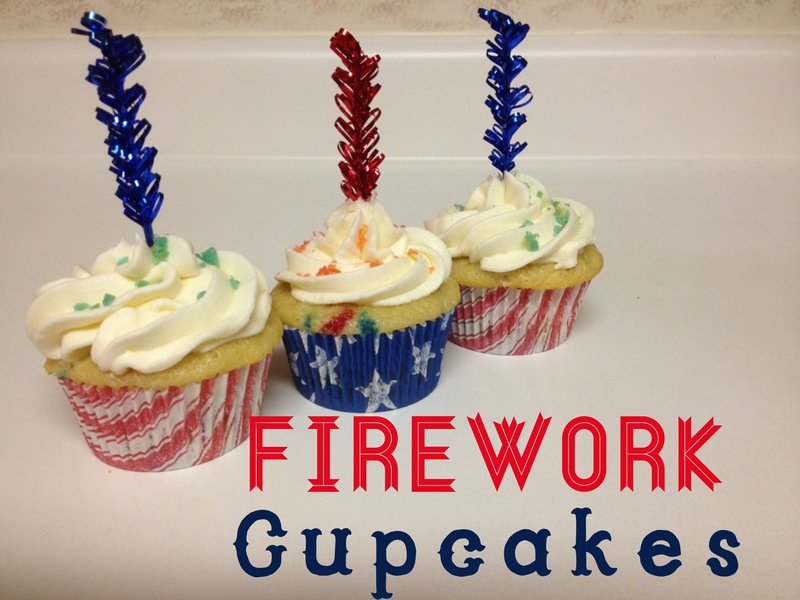 I plan on serving them in my “bomb pop popsicle” dish I found at HomeGoods while we light sparklers and set off real fireworks. 1. 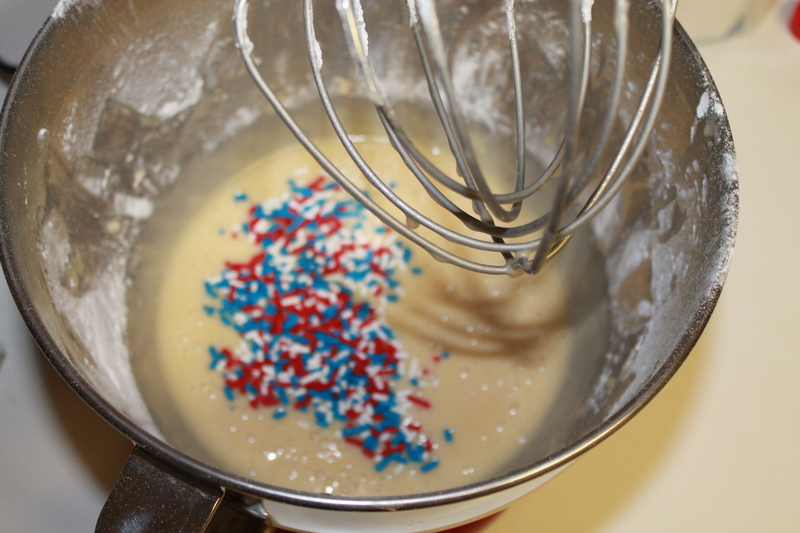 In a stand mixer, beat butter on high until soft. 2. Add 1 cup of sugar at time with mixer on low. 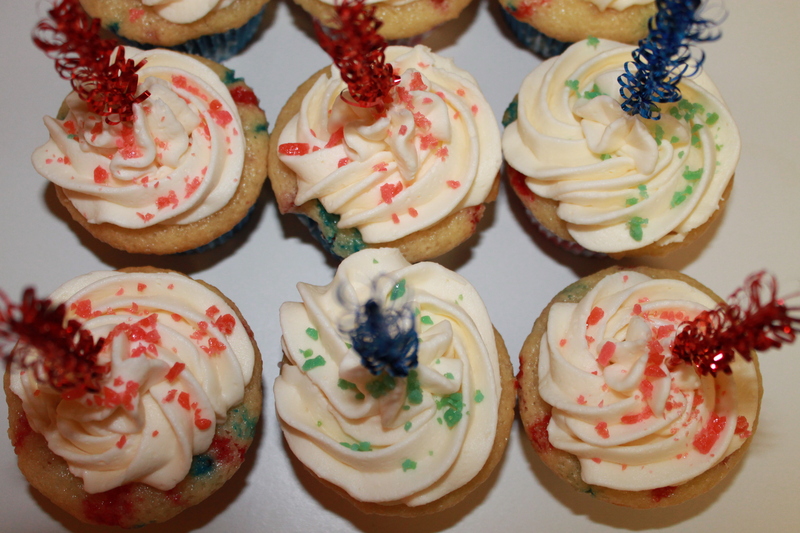 Once you are sure the powder sugar won’t fly everywhere, beat on high until sugar is completely mixed in . 3. Add vanilla and beat for another 2 minutes.